What are the most anticipated events in a woman’s life? Most women will agree that it is the moment that you got married – your wedding day. Searching for a perfect place or church for the wedding; takes a long time. Your wedding party, your guests, the reception and wedding attire are all key things that you should consider. Then there is the time that you will spend getting the best wedding dress and jewelery set so that it is perfect. Most women put in all this time because you want to look beautiful as well as elegant on your wedding day. Pearls are often chosen as the perfect jewelery to be worn in a wedding and for many decades picked as the perfect wedding gift for the bride – usually from her mother. The reason for this is that a pearl jewelry set symbolizes purity and love and is believed in many cultures to bring prosperity and happiness into the marriage. 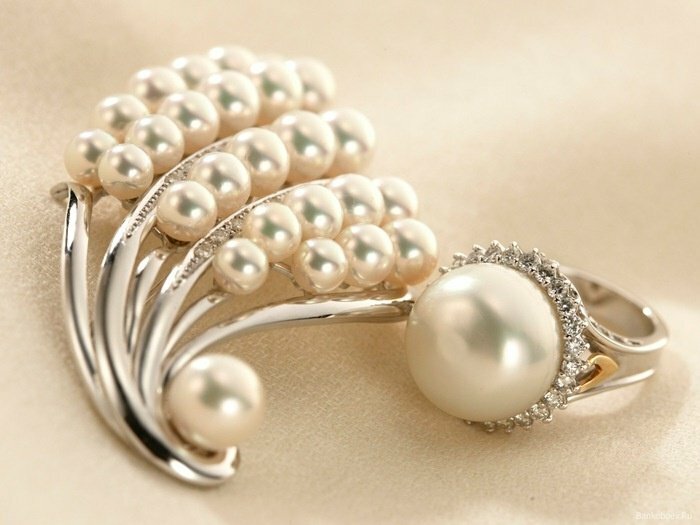 You need to wear the biggest and most beautiful pearls, with emphasis on the highest quality you can afford. Your pearls should match your complexion and skin tone and your body size. To match your wedding dress design – this is very important to consider the neckline other information about the dress. Dresses with strapless or open neck usually give you more ways to work with a variety of necklaces. Work with the perfect color for your wedding pearls. Pearl colour is dependent on your dress as well as the colour theme. They bring out your inner beauty. When the wedding is a destination wedding in Tahiti or other exotic place, solid black pearls not only match but are also so very delicate and unique.